Action Sport Games Bipod for M40A3. Purpose built bipod, designed especially for the McMillan M40A3 airsoft sniper rifle (Ref. 18124). With this bipod you get a more stable shooting platform. Complete the McMillan loadout with this bipod along with the front accessory rail (Ref: 18124) and mounting rings (Ref. 18126). 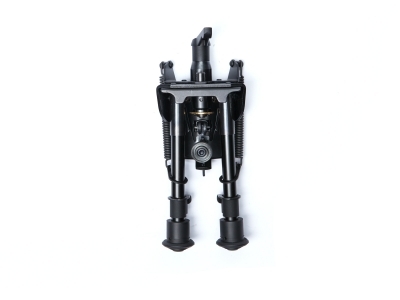 The legs are adjustable and locks in position, giving the option to adapt to any shooting position. The feet of the bipod have a grip pattern on the bottom, for optimal traction. Mounting and adjustments are easy, ideal for fast changing conditions.